bajra roti recipe | bajre ki roti | pearl millet roti recipe | sajje rotti with detailed photo and video recipe. 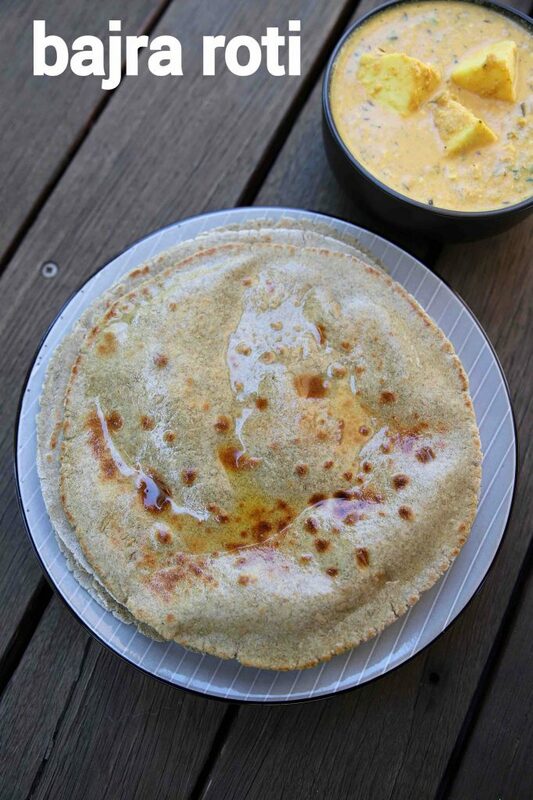 a healthy traditional north indian roti recipe made with bajra flour or pearl miller flour. it is particularly made in rajasthani cuisine and typically served with dry curries or sabzi for lunch and dinner. it is generally popular at the dry or hot climate demographics because it is considered to cool down the body and provide necessary supplements. bajra roti recipe | bajre ki roti | pearl millet roti recipe | sajje rotti with step by step photo and video recipe. indian cuisine mainly deals with flatbread recipes which are either made with grain flour or millet flours. typically the type of flour consumed entirely depends upon the demographics and its features. one such hugely popular healthy roti recipe is bajra roti or pearl millet roti known for its health benefits. i really do not have any preferences when it comes to gluten-free roti’s and i prepare both for my lunch and dinner. but i have developed a special interest to millet recipes and flatbread recipes from it. i am particularly interested with the health benefits of bajre ki roti has to offer. as i personally do not like the taste of millet-based roti’s and i feel it very pale. but these recipes are my husband’s favourite and he likes it to have it with dry chutney powders or spice powders and thick yoghurt. he likes to have bajra roti for morning breakfast as it keeps him full till afternoon lunch and can have something lite. i personally like it to have it gravy based curries like baingan masala or bhindi masala with peanut-based gravies. 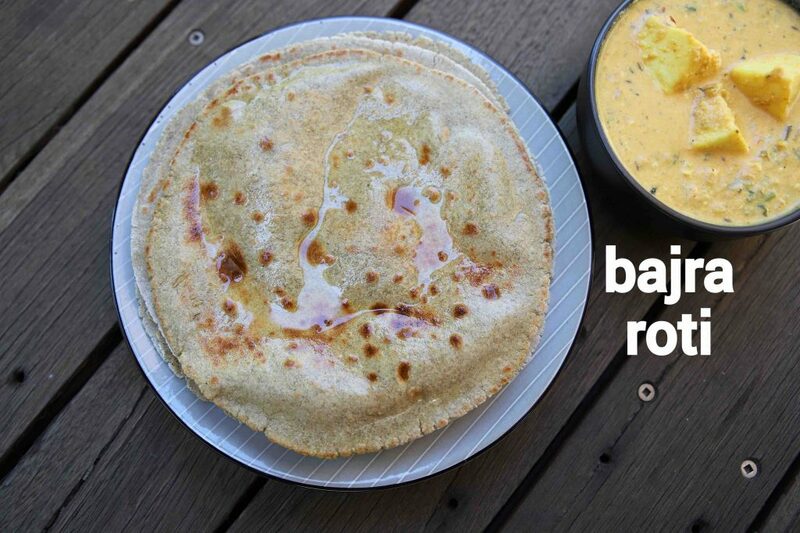 the recipe for bajre ki roti is no rocket science and can be made in no time, yet some tips and suggestions. firstly, in this recipe i have shown two ways to roll the rotis, i.e with rolling pin and via tapping it by hand. beginners can find it difficult with bare hands and i recommend to adopt rolling pin. secondly, the roti’s has to be thick as compared to normal wheat-based roti or chapati. if you roll it thin, it may start to have cracks and disintegrate. 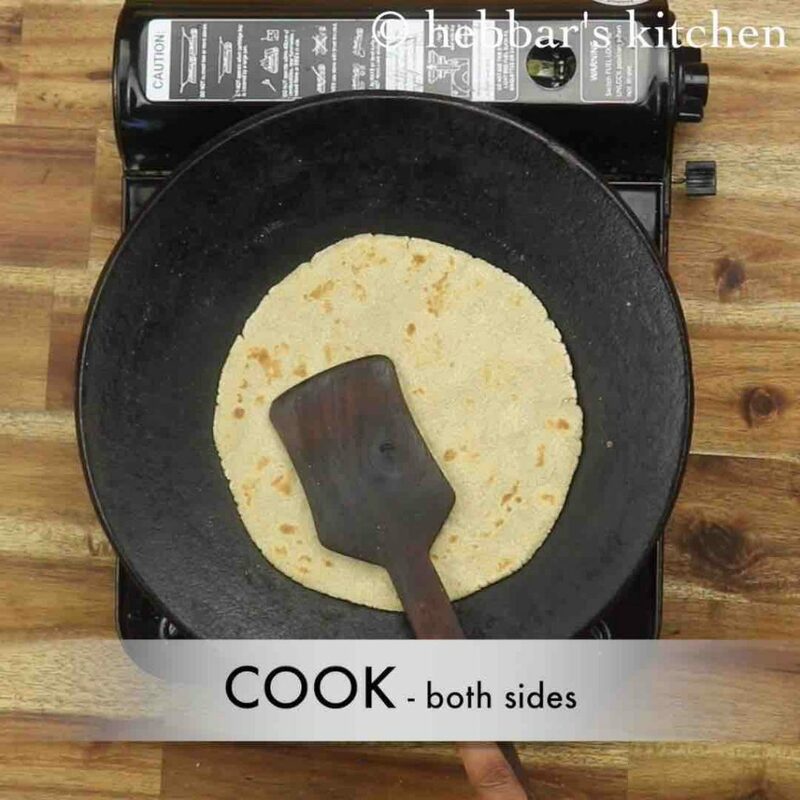 lastly, you may add finely chopped veggies like onions or leafy veggies like coriander, pudina and dill leaves to roti dough to make it more flavoured. 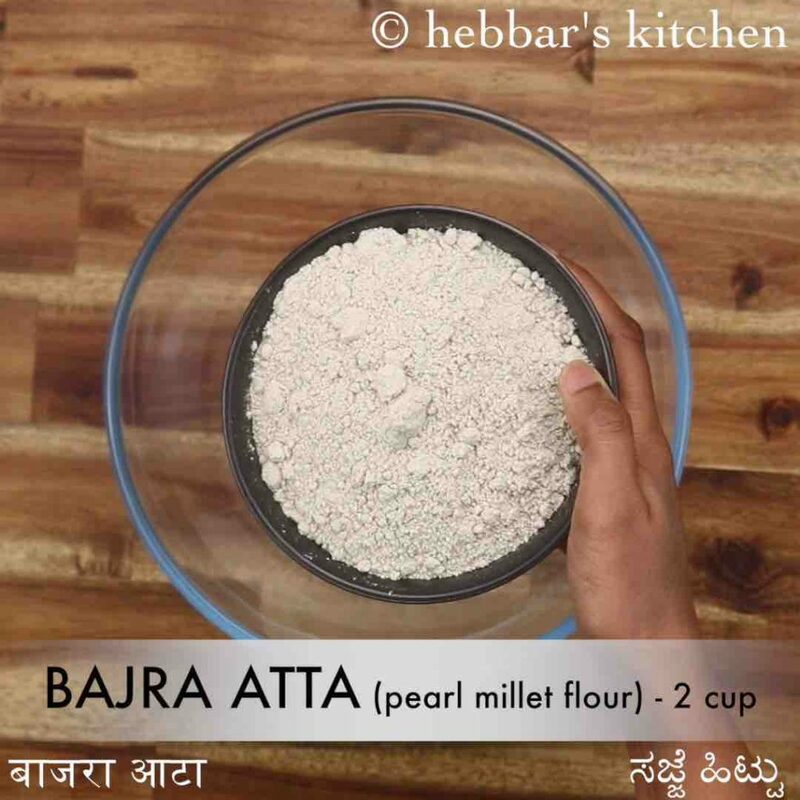 firstly, in a large mixing bowl take 2 cup bajra atta, ½ tsp salt and mix well. add ½ of hot water and start to knead. 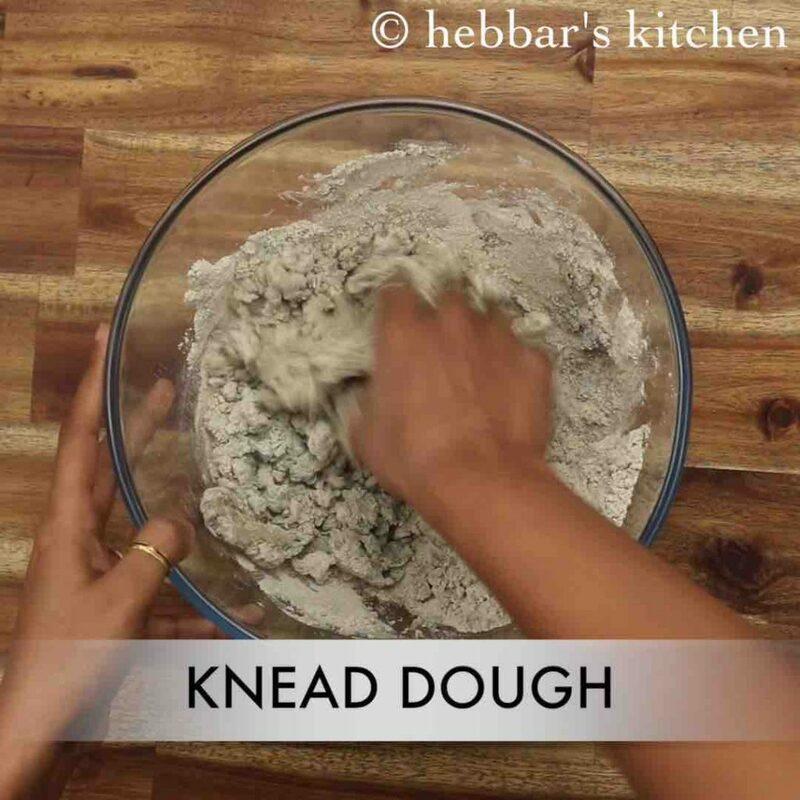 knead to the soft dough for at least 10 minutes. add water as required and knead well as there is no gluten in the dough. 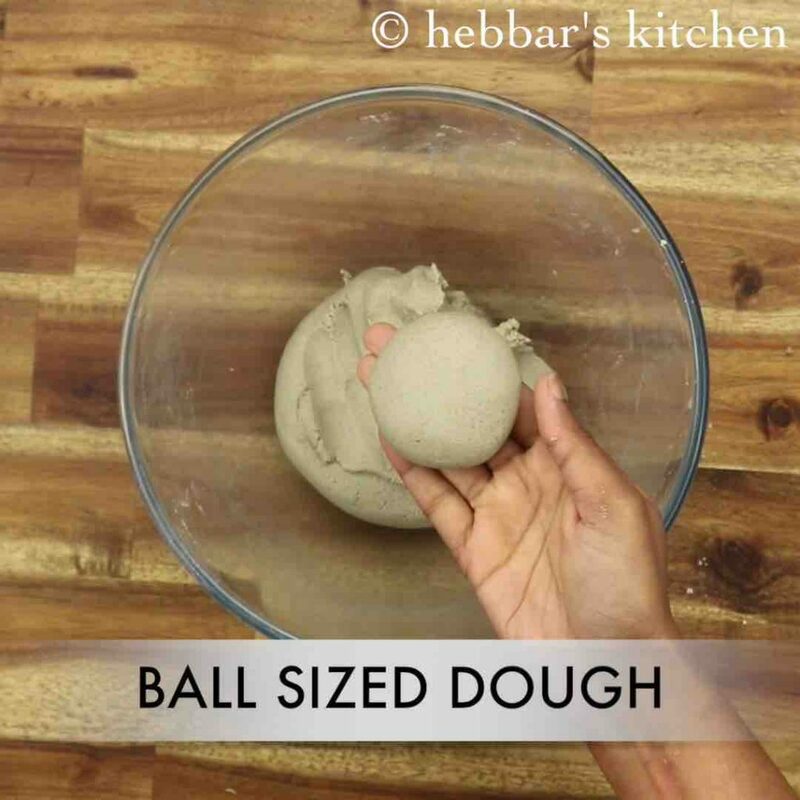 pinch a small ball sized dough and knead again. 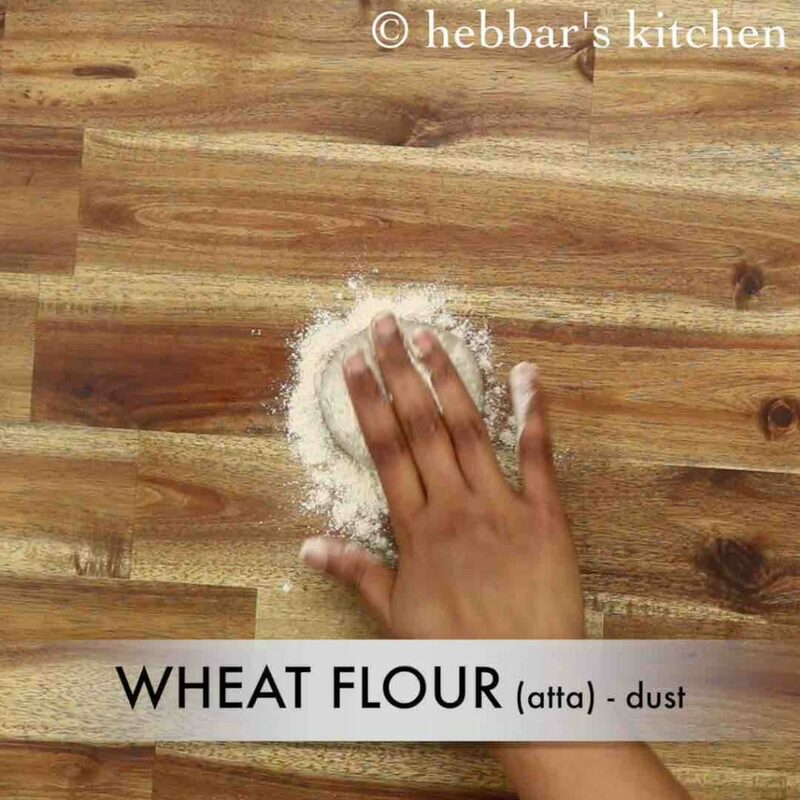 dust with wheat flour and pat gently. 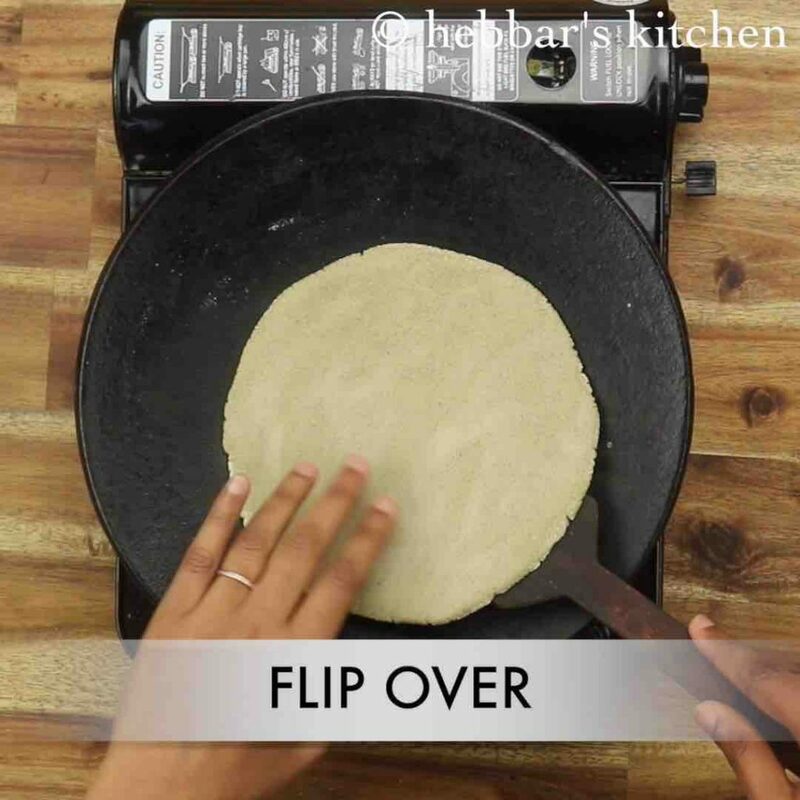 you can alternatively use a rolling pin to roll as done for paratha. 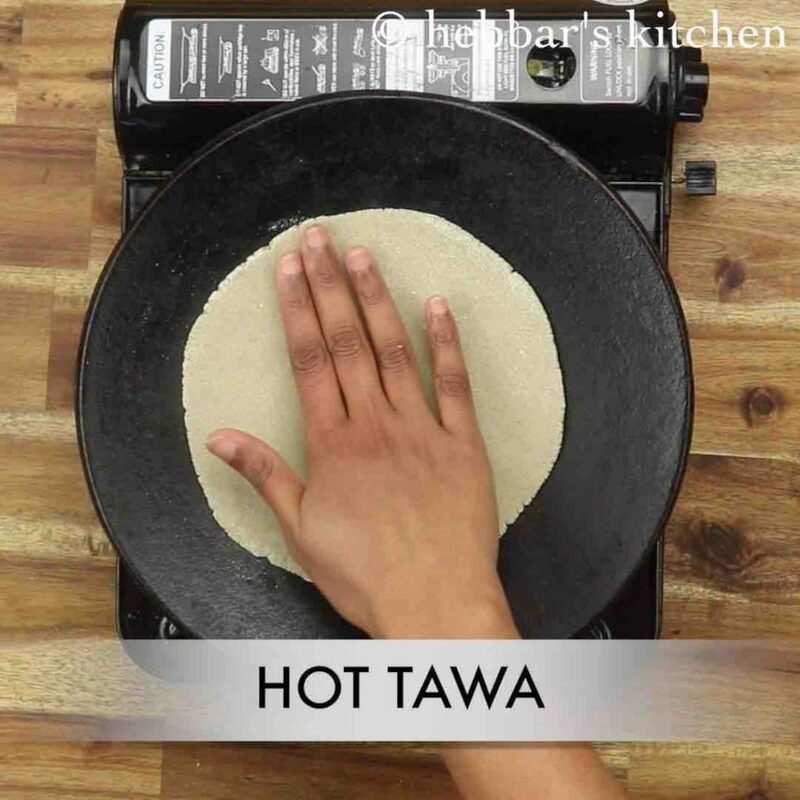 pat with both the hands until the roti turns as thin as possible. if the roti breaks, it means it needs more kneading. dust off excess flour and put over hot tawa. 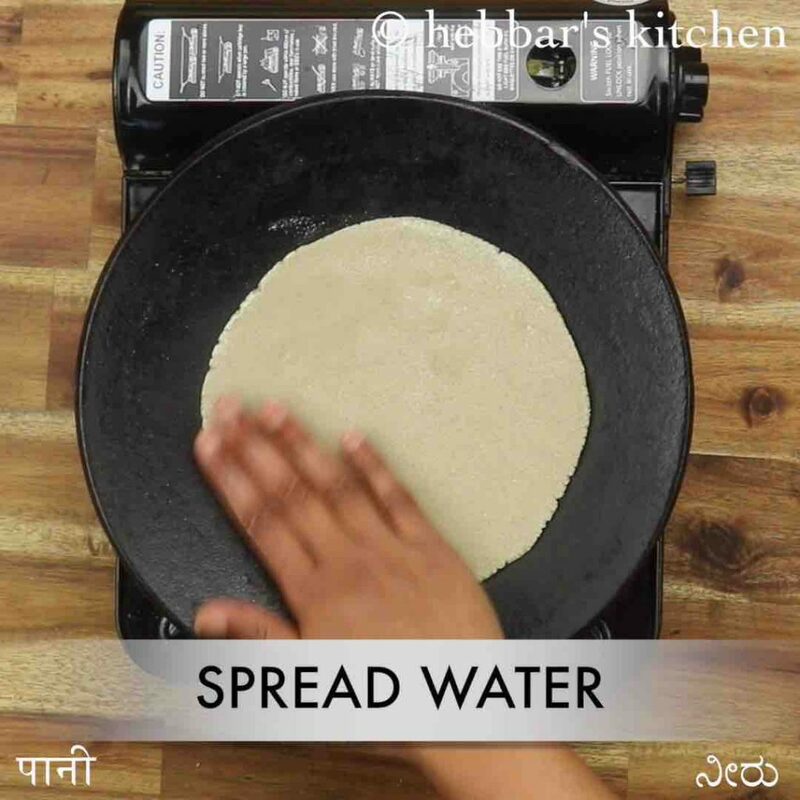 now spread water over the roti with help of hand or wet cloth removing excess dough. wait until the water evaporates then flip it to the other side. press gently and cook all the sides. 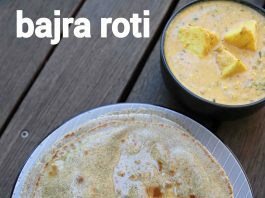 finally, serve bajra roti / sajje rotti with jaggery or curry. 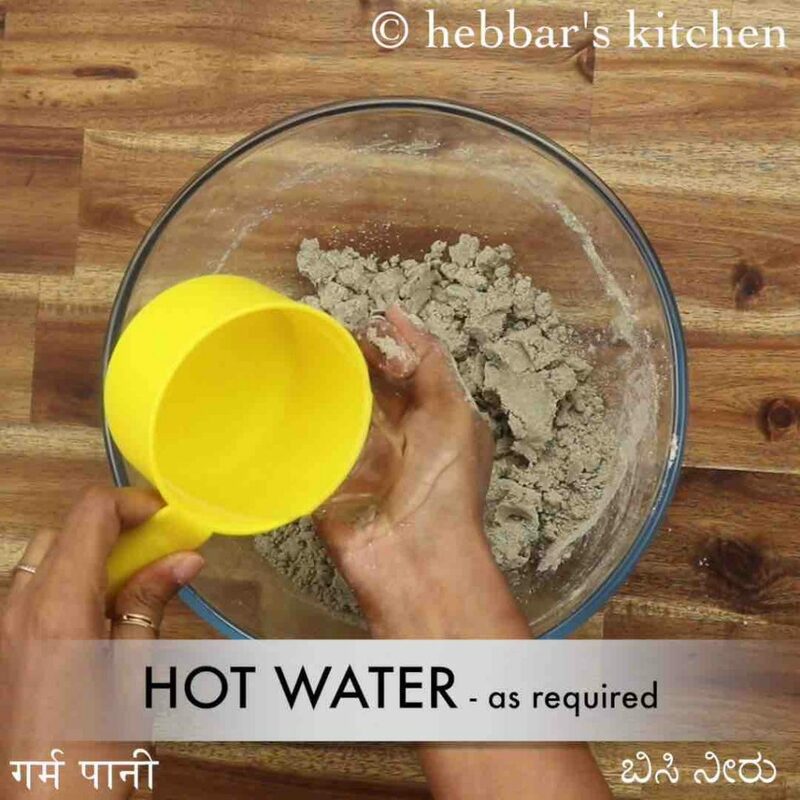 firstly, make sure to use fresh bajra flour else it will break while preparing. 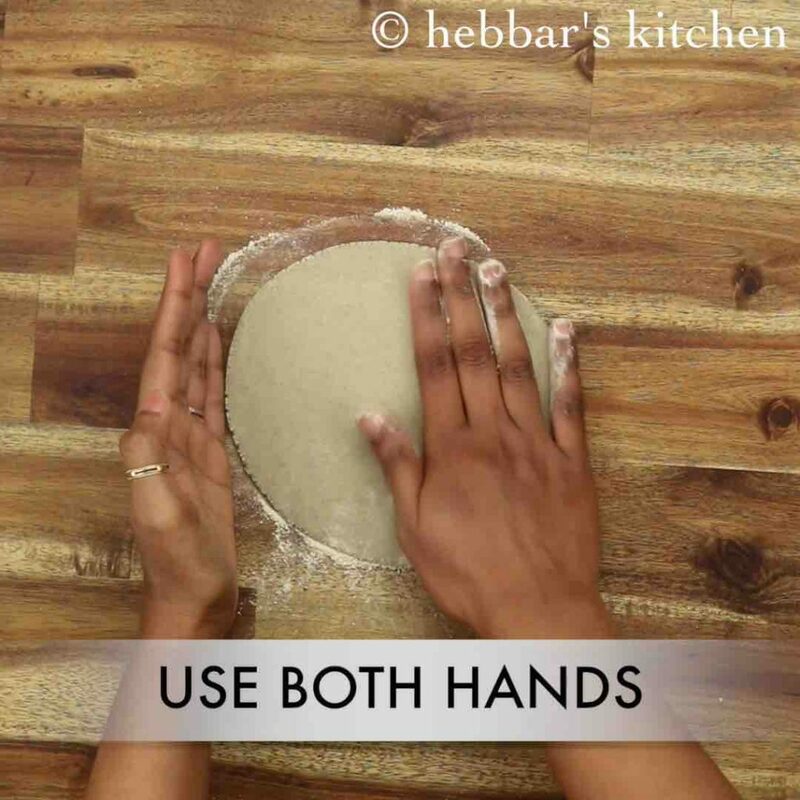 also, make sure to knead the dough well else there will be cracks while patting rotti. 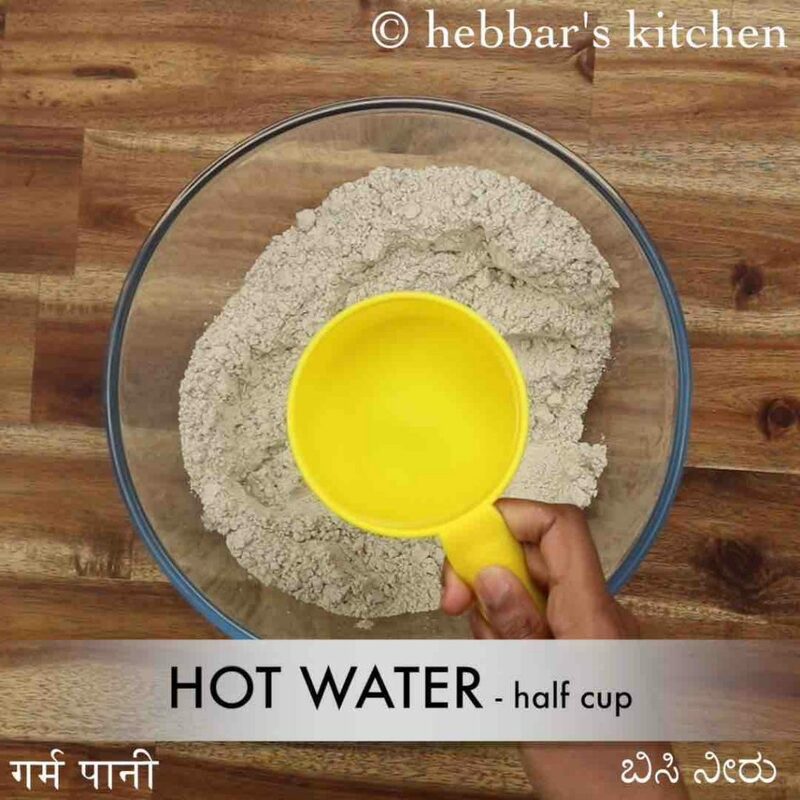 most noteworthy, if there are cracks forming while patting roti, take some hot water and knead the dough further. finally, bajra roti / sajje rotti recipe taste great when patted with hands rather than prepared with rolling pin.